I was playing around with my lipsticks, trying to create my own interpretation of the ombre lip, and I though it would be fun to set up a super quick tutorial on how I did it. 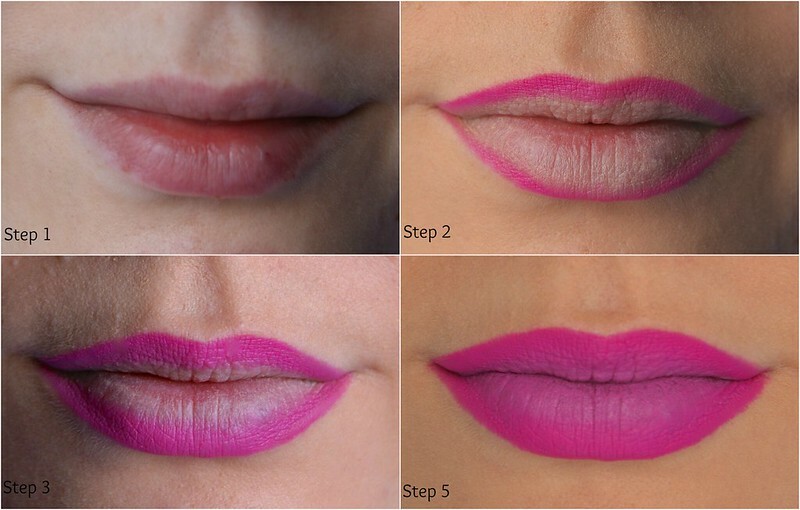 The ombre lip has to be the easiest and quickest way to add that extra something to your look. For this tutorial, I went for very subtle ombre lips. It's perfect for both day and night, even though I prefer something stronger and more 'out there' when I go to a party. And the colors are super appropriate for spring and summer; if only the weather would co-operate here in Belgium. I stepped outside with the lips above and a couple of people told me that there was something about my face, but that they could put their finger on it. When I pointed out my lips, they were all very positive about it and they asked me how I did it. Mission accomplished! Ready? Now it's time to get those lips popping! I also just realized that 'Step 5' should be 'Step 4', oopsie! Anyway, I think y'all get the point. 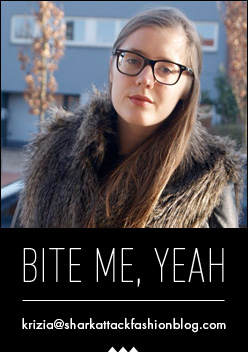 * Step 1: Make sure your lips are clean. You could also scrub them if you have dry lips. 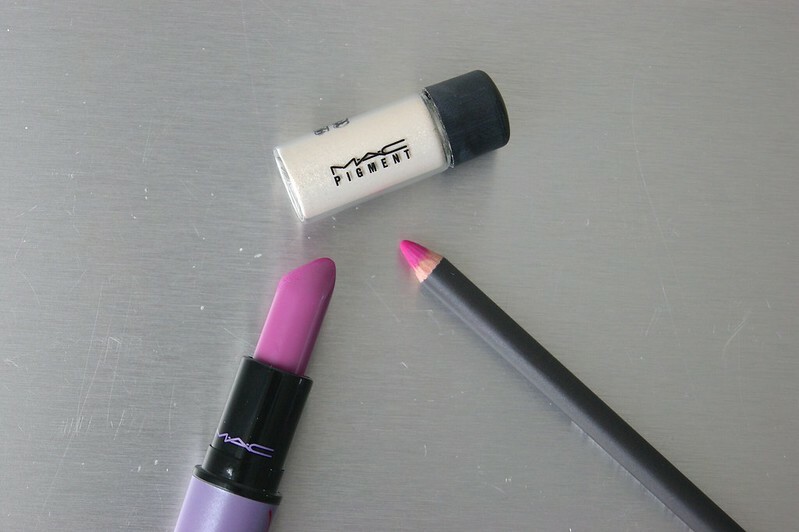 * Step 2: I always cover my lips with powder and then I use a primer; I use MAC's Prep + Prime. The combination looks kinda gross, I know. Outline your lips with a lip pencil or a lipstick using a lip brush. 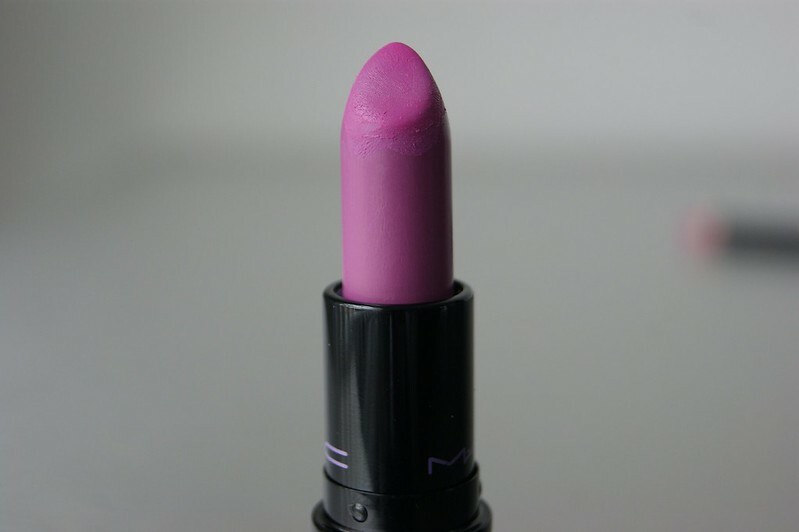 I prefer a lip pencil for this and I'm using MAC's 'Candy Yum-Yum', which is a vibrant pink color. * Step 3: Start filling your lips around the edges, but make sure to keep a 'blank space' on the upper part of your lower lip and the lower part of your upper lip. Then press your lips together as if your wearing lipstick, so that the color part gets smudges out a bit. This will blend in nicely with the other color. * Step 4: Now all you have to do is to fill the open space that's left. You could use both a darker or lighter color for this. Just make sure that the colors go well together; you could test this by blending colors on your hand first. I went for a lighter color this time and used MAC x Kelly Osbourne's 'Dodgy Girl' for this. It's a pink / purple kind of color and goes well with the popping 'Candy Yum-Yum' pink. Just apply the lipstick onto the open space and press your lips together once again, so that everything is blended nicely together. You could also use your fingertip to do this. 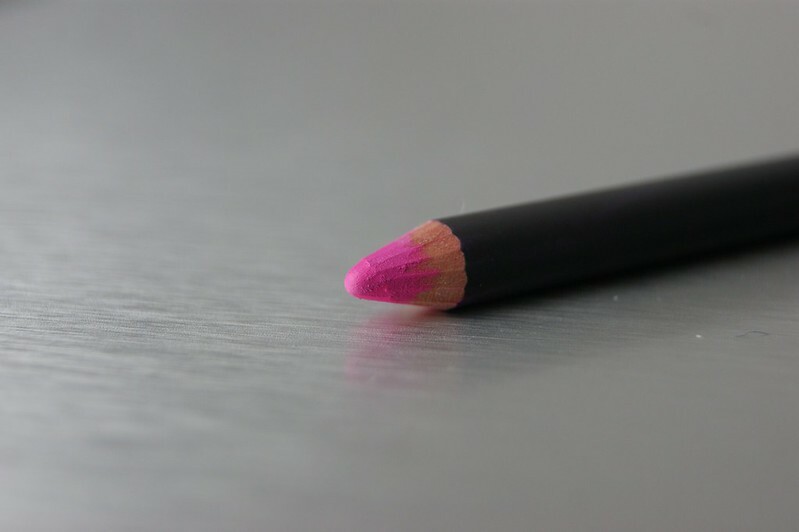 You can also intensify the colors by adding more lip pencil and lipstick; it all depends on what you prefer. And that's it! So easy, right? * Step 5 (optional): I add a teeny tiny bit of highlighter onto the middle of my bottom lip, for a little bit of extra glow. 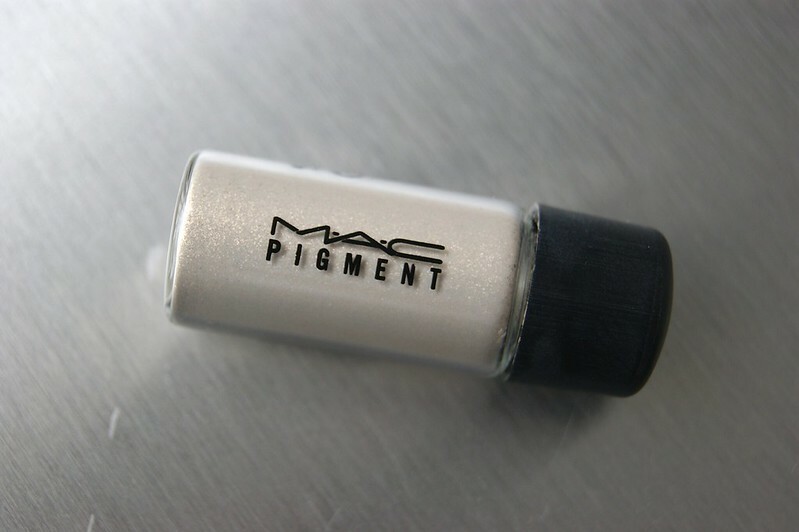 I use MAC Pigment 'Vanilla' for this. You could use a small brush to apply the highlighter or you could also use your fingertip. Make sure that you only add the tiniest bit, though! 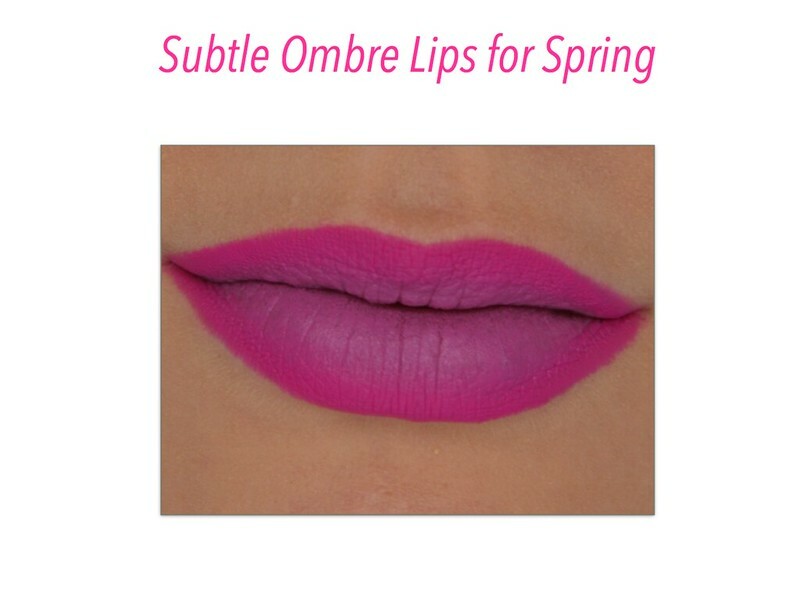 So, what do you think about the ombre lip? Is it something that you would try yourself? Oh, echt een cool effect! Super mooi gedaan :) Wil ik zelf ook wel eens proberen! love ittt, meer speciale looks plz!